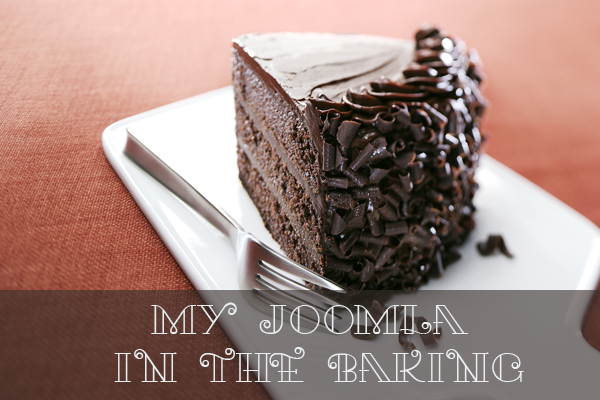 Fond of cooking and in love with Joomla. You can always find me on Kuroed.net - my favorite Joomla cooking site! This is a post by Irina as part of our Customer Showcase series. If you have a beautiful project and would like to share your story and experience with the JoomlArt community, please tell us your story! My name is Irina. I have always had a passion in cooking, especially baking. Starting from zero is hard. Eventually, I decided to go with Joomla. I firmly believe that software products which involved a number of people behind it, writing codes, testing and so on would be better off than those products that are done by only one individual. Unfortunately, that is not always the case. Even the paid Joomla extensions that are developed and released by a team of talented developers can happen to be a “pain” to me. I’m glad that the developers are well-known of the product’s issue and are working on it, however I found that is not how things should be done. Hopping from one templates club to another, I stumbled upon JoomlArt and got hooked. Immediately fell for JA Wall template not only on the design aspect of it, but also on the technical competency as well. The Pinterest design style spoke to me in how I’ve been pinning my magazine recipes’ clip on my kitchen wall. I was amazed and surprised in how much customer-oriented the template was, and the timely response for support. The template comes with detail instructions, props to the Quickstart package, setting up was an easy go for me. Plus, JA Wall does support K2 component and work-out-of-the-box JA Social Feed Joomla extension. I couldn’t be any happier. Kuroed.net is a Russian “Cooking Answers” site (Fb, G+). It mainly served as a playground where I and others share our recipes on food related. We also have a several contests here and there, open in the special occassion of the year like Christmas, Easter, Thanksgiving, etc. I also integrated a discussion forum using EasyDiscuss into Kuroed.net for community engagement. Every individual can post their own recipe on Kuroed.net and manage these articles on their own. I believe that every person can realize this idea. If you’re new to Joomla or hesitate in trying this out on your own or hiring a developer to do the job for you, please give yourself a shot. The feeling when you are actually achieving something on your own is amazing. I can’t plainly put that into words, but if you’ve been there, you’ll understand . Thanks for tuning in with me on my experience with Kuroed.net. If you have any suggestions regarding to the site, and questions on the development, or just anything else, drop me a line in the comment section below.